The demonstration began at Westlake Park, where the crowd listened to speeches by Iosia Faletogo's relatives and others. 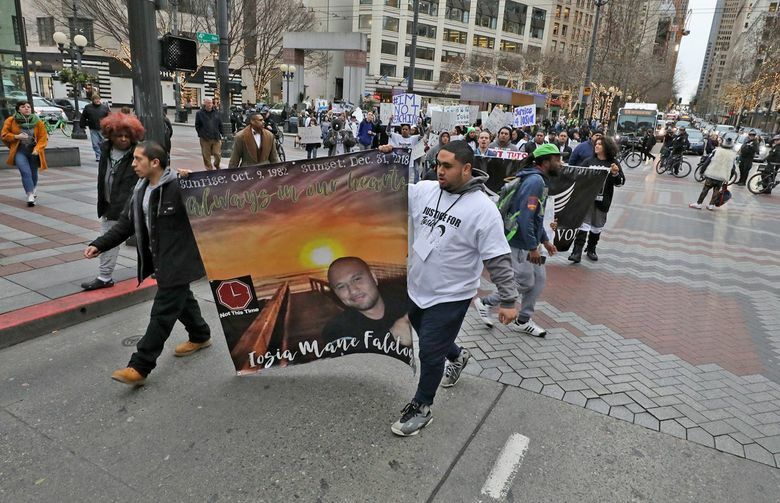 About 100 people marched peacefully through downtown streets in Seattle on Friday afternoon, protesting the fatal shooting on New Year’s Eve of 36-year-old Iosia Faletogo by a Seattle police officer. 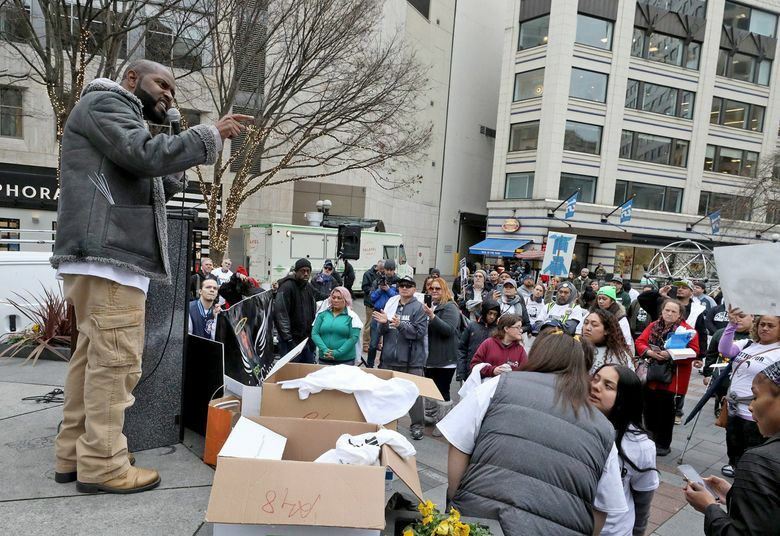 The demonstration began with a gathering at Westlake Park, where the crowd listened to speeches by Faletogo’s relatives and others decrying the shooting. 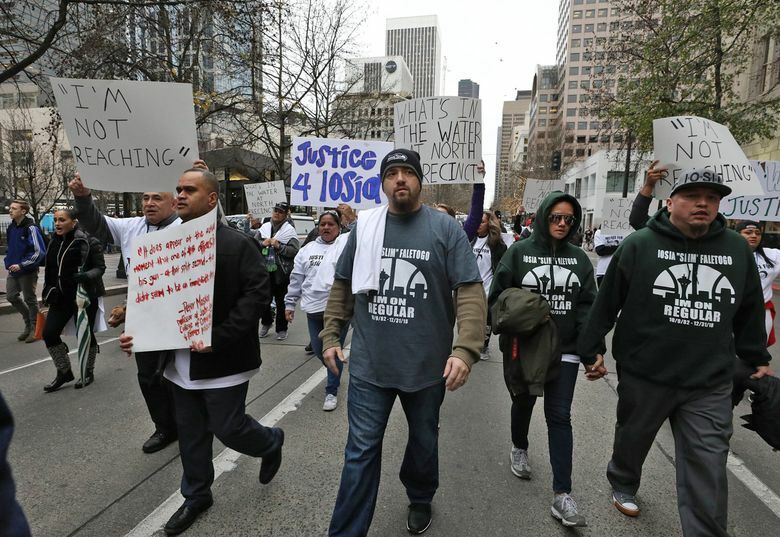 With many wearing T-shirts imprinted with “Justice for Iosia,” they marched through the central business district escorted by Seattle police officers on bikes. Traffic was disrupted for a short time on some streets. The Dec. 31 shooting occurred about 5 p.m., just off Aurora Avenue North near North 96th Street, after officers made a traffic stop of a car Faletogo was driving. Faletogo ran from the car, leading to a brief chase and struggle involving several officers in which Faletogo was taken to the ground and shot in the head by Officer Jared Keller. Seattle police released graphic body-camera and patrol-car video days after the shooting, some of which show a handgun in Faletogo’s hand at one point during the struggle, while some appears to show both of his hands empty, palms flat against the ground, at the time he was shot. The video and audio captured officers shouting “drop the gun,” “you’re going to get shot” and “he’s reaching” during the pursuit and struggle. 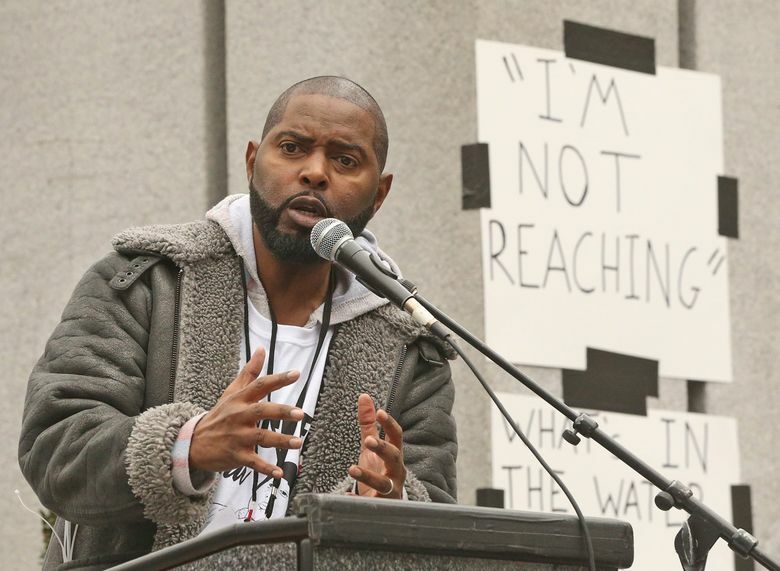 During Friday’s demonstration, protesters loudly and repeatedly chanted “I’m not reaching,” words Faletogo appeared to say just before he was shot, with the gun lying near him on the ground. At one intersection, dozens dropped to the ground to re-enact the moment. At the request of Seattle police, the Washington State Patrol is conducting an independent criminal investigation of the shooting. 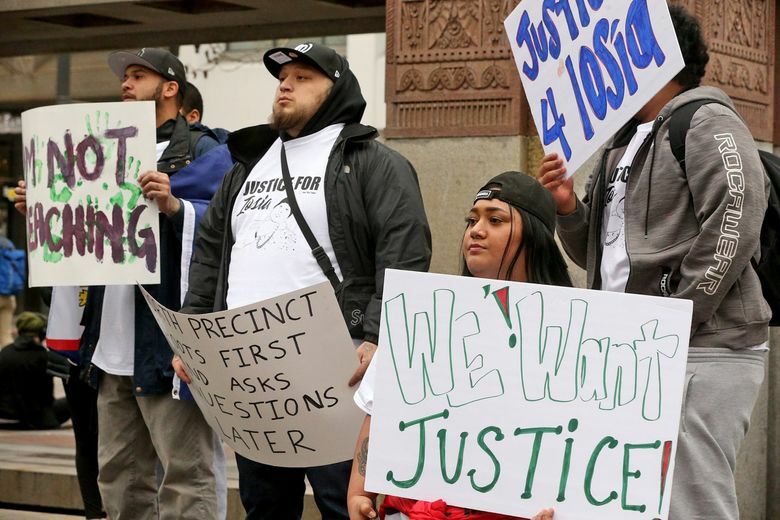 Seattle police are conducting internal administrative and use-of-force investigations.